YellowAirplane.com: Russian Yakovlev Yak-3, Yak-9 Aircraft, Model Airplane Kits, Books, Videos and Gifts. 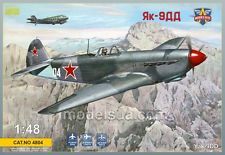 Russian Yakovlev Yak-3, Yak-9 Aircraft, Model Airplane Kits, Books, Videos and Gifts. Яковлев российских военных самолетов Самолет модели, книги, видео и многое другое. Russian Soviet Yakovlev Yak-3, Yak-9 Section of the. Russian Prop Fighters & Jets Model Kits Department. Russian Fighter Jets and Fighter Jet Pictures. Model Kits. Russian Military Aircraft, the Soviet fighter jets are some of the most advanced jet airplanes in the world. A History of the Design Bureau and Its Aircraft. From the two-seat AIR-1 prototype designed in 1927, to the highly successful UT-2 primary trainer of 1935, the famous Yak fighters of World War II, the first airliners of the 1960s, helicopters, VTOL aircraft, jet fighters. During the 1950s and 1960s the Soviet design bureau Yakovlev developed a series of swept-wing twin-engine jet combat aircraft which is covered here with new information, detail and illustrations from original Russian sources. Included are the Yak-25 flown in 1953 all the way to the slightly larger Yak-28 from 1961 - and variations including reconnaissance and night-fighter configurations. This page has many Yakovlev Military Aircraft, Model Airplanes, Books, Videos, and lots more. A formidable Soviet dogfighter, the Yak-3 entered World War II during the summer of 1944. This 1/72 scale, die cast replica of the aircraft piloted by Soviet Union General Georgiy Zakharov, 18-victory ace and commanding officer of the 303rd IAD (which included the French Normandie-Niemen volunteer regiment), features engraved panel lines, a clear canopy, extended landing gear, and more. 5" wingspan; arrives ready to display on the included stand. Based on the Yak-3 flown by Hero of the Soviet Union General Georgiy Zakharov, 18-victory ace and commanding officer of the 303rd IAD (which included the Free French Normandie-Niemen squadron), this 1/72 scale, plastic model features textured surfaces, a glazed canopy, a rotating propeller, extended landing gear, authentic markings, and more. 5" wingspan; includes a display stand. Yak 3 - Capt. Marcel O. Albert. Ernie Boyette. Stunning profile view of this Frenchman's Yak-3. An accomplished pilot, he flew with the French, the RAF, and finally for Russia with a French unit called the Normandie Regiment. Albert ended the war with more than 23 aerial victories and is one of the few foreign recipients of the USSR's highest award for valor, the Gold Star and the title "Hero of the Soviet Union." His fascinating story is all here. Limited edition print measures 18"x 12" and is signed by Capt. Albert and the artist. The most numerous Soviet fighter of World War II, the Yak-9 saw its first combat in late 1942 during the Battle of Stalingrad. the Yak-9 flown by Major Ivan N. Stepanenko, 4th Fighter Regiment, out of Kursk Airfield in the summer of 1944, this 1/72 scale, die cast model features engraved panel lines; a clear bubble canopy; a rotating propeller; authentic markings, including fuselage art of a springing tiger attacking Nazi propaganda minister Joseph Goebbels; a display stand and more. 5" wingspan. Gordon, Komissarov & Komissarov. From the two-seat AIR-1 prototype designed in 1927, to the highly successful UT-2 primary trainer of 1935, the famous Yak fighters of World War II, the first airliners of the 1960s, helicopters, VTOL aircraft, jet fighters and others, this heavily illustrated volume presents the full history of the famous Russian design bureau. 320 pages, approximately 400 B&W photographs, 16 pages of color photographs, line drawings and more. 8"x 11", hardcover. Gordon. 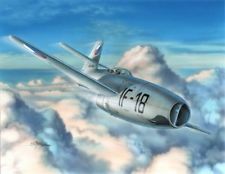 During the 1950s and 1960s the Soviet design bureau Yakovlev developed a series of swept-wing twin-engine jet combat aircraft which is covered here with new information, detail and illustrations from original Russian sources. Included are the Yak-25 flown in 1953 all the way to the slightly larger Yak-28 from 1961 - and variations including reconnaissance and night-fighter configurations. 128 pgs., 202 B&W and 41 color photos, profiles, 8"x 11", sfbd. Yakovlev's V/STOL Fighters Softbound Book. Gordon & Khazanov. Detailed examination of the entire family of Yakovlev piston-engined fighters from the simple but rugged Yak-1, to the later Yak-7 and Yak-9, and finally to the most capable of the line, the Yak-3. These Yaks were less resistant to combat damage than the Mustangs and Focke-Wulfs of the day, yet they excelled at their primary goal of supporting the Soviet front and the ground troops there. Book features examples of all of the marques built for the Soviets as well as those serving outside of Russia. 144 pgs., 313 B&W photos, 30 color profiles, 3 four-view drawings, 8"x 11", sfbd. Российских военных самолетов, советские истребители являются одними из самых современных реактивных самолетов в мире. История конструкторского бюро и самолеты. Из двух мест AIR-1 прототип разработан в 1927 году, для весьма успешного УТ-2 первичных тренер 1935 года, знаменитый Як-истребителей Второй мировой войны, первый лайнер в 1960-х годов, вертолеты, самолеты VTOL, реактивные истребители. В течение 1950-х и 1960-х годах советское конструкторское бюро Яковлев разработал серию охватила крылом двойной двигатель реактивного боевого самолета, который описывается с новой информацией, детали и иллюстрации из оригинальных русских источниках. Включаются Як-25 налета в 1953 году вплоть до чуть больше Як-28 с 1961 года - и различия в том числе разведывательных и ночной истребитель конфигураций. Эта страница имеет много Яковлев военных самолетов, модели самолетов, книги, видео и многое другое. Click Here's a Special Request: We need to find the following YAK Fighter Pilots from over Korea who shot down the B-29 named Hog Wild. The names of the four Russian Yak fighters that shot the Hog Wild down were leader pilot lieutenant Feofanov...and junior lieutenant Zizevsky leader pilot lieutenant Belik...and junior lieutenant Mdivani They flew out of the HamHung Airfield on August 29, 1945 (the day of the Hog Wild incident)... which General MacArthur talked about. If you know these men or anything about them, let me know by Email Here. Вот специальному запросу: Мы должны найти следующие Истребитель Як Пилоты из Кореи, которые сбили с B-29 с именем Боров диких. Имена четырех российских истребителей Як что выстрелил Боров диких вниз были лидер экспериментальный - лейтенант Феофанов ... и младшего лейтенанта Zizevsky лидер экспериментальный - лейтенант Белик ... и младшего лейтенанта Мдивани Они вылетели из HamHung Аэродромное по 29 августа 1945 года (в день проведения Боров Дикий инцидент) ... Общие Макартура, который говорил о. Если вы знаете, эти люди либо ничего о них, дайте мне знать по электронной почте здесь. The Admiral Kuznetsov aircraft carrier - the flagship of the Russian Navy - which was launched in 1985 and became fully operational in 1995. Russian Yakovlev Ushtarak Aeroplanve aeroplan Modele, Books, Videos and more. الطائرات العسكرية الروسية ياكوفليف نماذج الطائرات ، كتب وأشرطة الفيديو والمزيد. Yakovlev руски военни въздухоплавателни средства Самолетни модели, книги, видео и др. Avions militars russos Yakovlev aeronau Models, llibres, vdeos i ms.
Ruski vojni zrakoplov Yakovlev modeli aviona, knjige, videozapisi i slično. Yakovlev ruskch vojenskch letadel Letadlo modely, knihy, video a dal. Russiske Yakovlev militrfly Fly Modeller, bger, videoer og meget mere. Russische Yakovlev Military Aircraft Airplane Models, boeken, video's en meer. Vene Yakovlev lahingulennukite Lennuk Mudeleid, raamatud, videod ja palju muud. Russian Yakovlev Militar sasakyang panghimpapawid Airplane Models, Books, Videos at More. Venjn Yakovlev sotilaslentokoneen Lentokone mallit, kirjat, videot ja paljon muuta. Aviation Militaire russe Yakovlev modles d'avion, livres, vidos et bien plus encore. Avin ruso Yakovlev avies militares models, libros, vdeos e moito mis. Russisch Jakowlew Militrflugzeuge Flugzeug-Modelle, Bcher, Videos und mehr. Ρωσικά στρατιωτικά αεροσκάφη Yakovlev Airplane Μοντέλα, βιβλία, βίντεο και άλλα. צבא רוסיה Yakovlev מטוס מטוס דגמים, ספרים, קטעי וידאו ועוד. रूसी Yakovlev सैन्य विमान हवाई मॉडल, किताबें, वीडियो और अधिक. Orosz katonai replőgp Yakovlev Airplane Models, knyvek, videk s gy tovbb. Pesawat Militer Rusia Yakovlev Airplane Models, Buku, Video dan Lagi. Russo Yakovlev Military Aircraft Airplane Models, Libri, Video e molto altro ancora. 러시아어 Yakovlev 군용기 비행기 모델, 책, 비디오 및 기타. Krievijas Yakovlev militārās lidmaīnas Lidmaīna modeļi, grāmatas, video un daudz ko citu. Rusų Jakovlev Kariniai orlaiviai Lėktuvas modeliai, Books, Videos and More. Russa Yakovlev Militari Aircraft Ajruplan Mudelli, Books, Videos u Aktar. Russiske Yakovlev Military Aircraft Fly modeller, bker, videoer og mye mer. Rosyjski Yakovlev Samolot Modele samolotw wojskowych, Książki, filmy i więcej. Avio russo Yakovlev avies militares Models, livros, vdeos e muito mais. Rusă Yakovlev aeronave militare avion Modele, Carti, Video-uri şi multe altele. Руски војни авион Ыаковлев модели авиона, књиге, видео снимци и слично. Yakovlev ruskch vojenskch lietadiel Lietadlo modely, knihy, video a ďalie. Ruska Yakovlev vojakih letal Letalo Modeli, Books, Videos and More. Aviones militares rusos Yakovlev Aeronave Modelos, libros, videos y ms.
Ryska Yakovlev militrflygplan Flyg modeller, bcker, videor och mycket mer. รัสเซีย Yakovlev ทหารไทยอากาศยาน Airplane รุ่นหนังสือวีดีโอและอื่นๆ. Rusya Yakovlev Askeri Uak Uak Modelleri, kitaplar, videolar ve daha fazlası. Яковлєв російських військових літаків Літак моделі, книги, відео та багато чого іншого. My bay nga Yakovlev Qun đội my bay kiểu xe, Tc phẩm, video v cc bi khc.